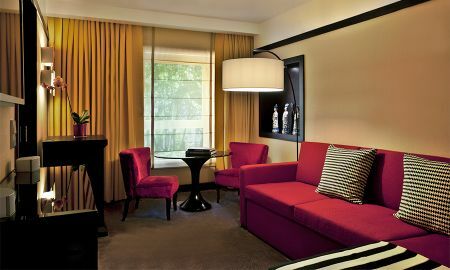 The Hotel Sofitel Lisbon Liberdade is a five-star hotel rising in the heart of Lisbon. It celebrates the French “art de recevoir” and the Portuguese stylish décor, thanks to its red and gold colours in contrast with dark wood tones and shades of brown. This colour mixing evokes African and Eastern influences in Portugal’s Renaissance. 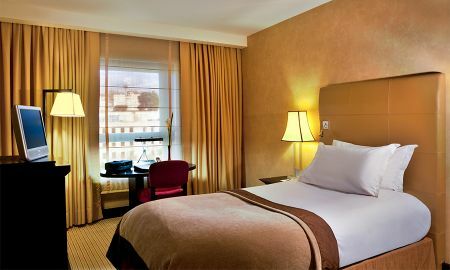 The hotel welcomes 163 elegant and fully equipped rooms suitable for a perfect stay in Lisbon. The AdLib restaurant is a striking experience in a sophisticated atmosphere. It comes with Medici-styled vases and contemporary furniture and it is characterised by an interesting mixture between contemporary French influences and Portuguese trends. Enjoy a fresh drink in the Intra-Muros Bar and appreciate the true Portuguese soul! 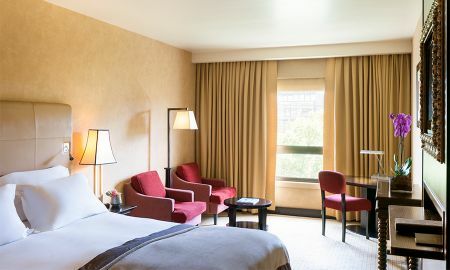 Sofitel Lisbon Liberdade is located in the heart of the Avenida Liberdade, between the districts of Baixa and Alfama, two steps away from the Metro station Avenida, the business district and a number of historic sites such as the Alfama. 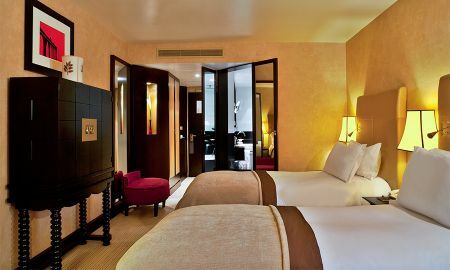 The Hotel Sofitel Lisbon Liberdade is located in Lisbon centre, in the Avenida da Liberdade populated by bars, boutiques and crossed by many international tourists every day. The hotel reserves the right to pre-authorise your credit card prior to arrival for bookings in flexible rate with breakfast included.